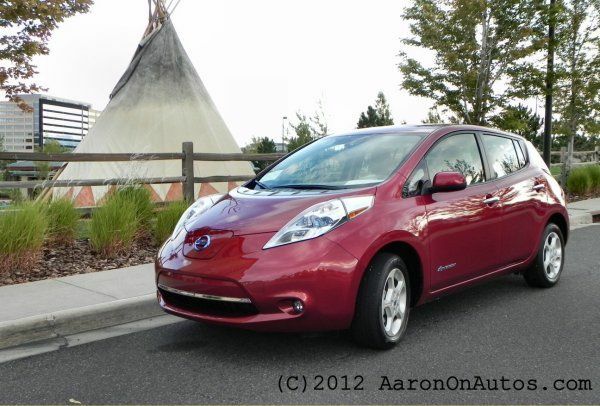 At the end of September, cumulative global sales for the Nissan LEAF electric vehicle (EV) had reached 83,000 units. In Japan, over a third of those, 30,000 units, are plying the streets daily after only three years of sales. The Nissan LEAF is the world's first modern, mass produced, 100% electric vehicle and is the best-selling EV around the globe. For a new technology, with the LEAF beginning sales in Japan and the U.S. in December of 2010, this is phenomenal. Sales of the car have grown steadily as the idea of electric mobility caught on and markets opened to the EV in Europe and Asia. As charging infrastructure became available, sales have continued growing. Inside, the LEAF has seen steady improvement as well. The latest-generation of the car, which Torque News had the chance to drive at National Plug-in Day last month, features a great new navigation system that automatically pinpoints charging stations and allows the driver to route to them as part of their trip, if desired. Drivers can also designate an acceptable walking distance if it means parking the EV at a charging spot upon arriving at their destination. In cities like Denver, Colorado, there are far more charge points than many would expect, making this a do-able proposition. In Japan, Nissan has been instrumental in accelerating the adoption of plug-in infrastructure. The country now boasts a total of 1,900 quick chargers, with more being added every month. 800 of those were installed by Nissan dealerships as public charge points with most of the others being installed by businesses and governments. The Japanese government has subsidized the effort with 100.5 billion yen in tax breaks and grants. With sales improving year-on-year at a steady pace and the LEAF seeing new markets and expanding interest from new buyers, it's likely that Nissan will hold the title as the world's leading zero-emissions vehicle manufacturer for some time.